The first independent UK consultancy to specialise ten years ago in diversity-related advisory and leadership development services, today Embankment's expertise has broadened to create unique organisational development solutions to optimise performance through people in the widest sense. Creative client partnerships help strengthen the leadership skills of Board-level executives to get them at peak performance to drive winning strategies and enhance performance across a range of Future Fit exercises unique to Embankment. Embankment works on three integrated platforms, through a unique consulting model based on latest research. Fly out of the starting gate with our initial Future Fit Healthcheck, providing an initial diagnostic sweep across your organisation's performance field and shining new light on hidden areas where your untapped potential could be holding back your success. 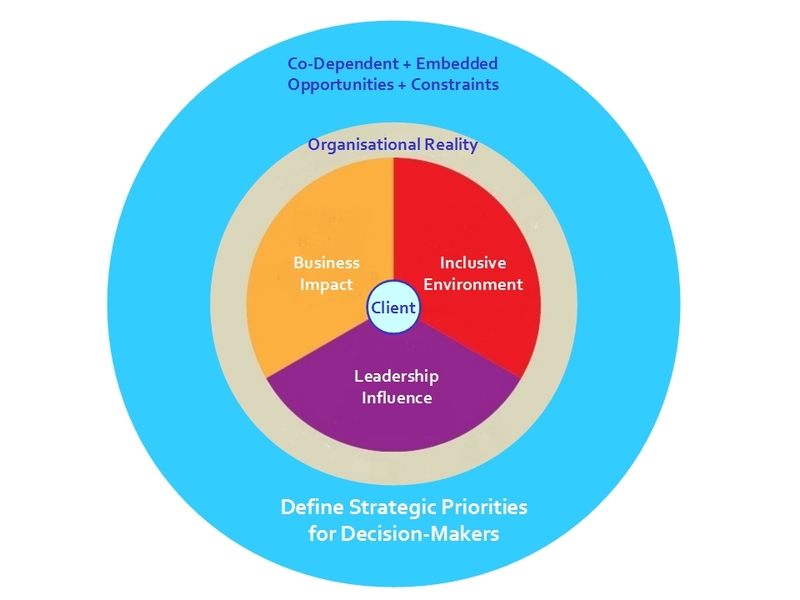 With this as your performance goal, we work in partnership with our clients to integrate Future Fit thinking into leadership perspectives and practices that help to muscle up their strategic decision-making. Well-equipped Board leaders can then unlock untapped competitive edge, supported by our unique tools that visibly show how impact from investment in Future Fitness is tied to tangible business and societal results.